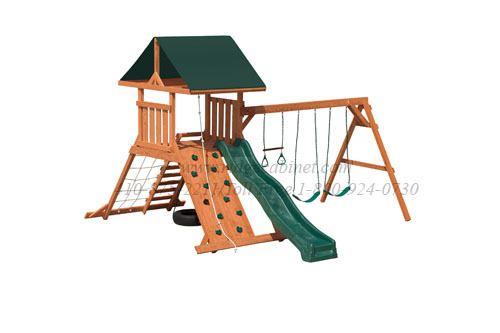 Children's Wood Climbing Tower Play Set with Swings, Trapeze Bar, Scoop Slide, Cargo Climber Net, and more . . . The ground area recommended for this set is 18ft long and 16ft deep. You can add or delete components and design your own set! Not all options may work on all sets.